In the newly published Flying American Combat Aircraft of World War II, Robin Higham has compiled twenty nine short chapters by authors who flew some of the great warbirds during that time. The pilot’s narration take the reader through first impressions, walk-around, take off and landing, and how the aircraft performed in & out of combat situations. The texts are entertainingly written with emphasis on a pilot’s affection for his aircraft, but also including the necessary technical content. Each chapter features high quality captioned photographs of the aircraft subjects. Not only are the typically famous P-51 Mustang, P-47 Thunderbolt and other fighters covered, but also some lesser-known types such as the P-26 “Peashooter”, AT-6 & North American 0-47. Bomber aircraft are also prominently featured, with tales of experience in the B-17 Flying Fortress, B-24 Liberator, B-29 Super Fortress, and the smaller twin engined types. Since the book took articles from volumes of Flying combat aircraft of the USAAF and USAF, it doesn’t touch on the Naval & Marine types such as the carrier based Grumman planes. There are several authors who share their thoughts on the same aircraft (ie. the P-40 is discussed in three different chapters), giving the reader not repetition, but an interesting variation of viewpoints on these powerful military aircraft. 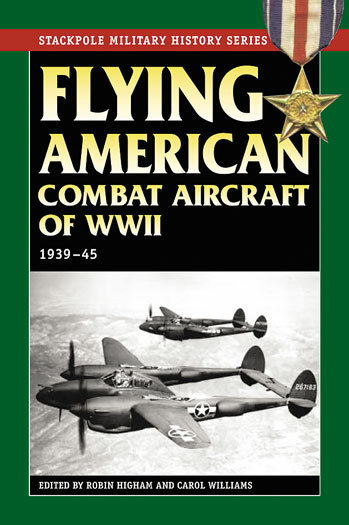 This book is an interesting read for enthusiasts of the US warbirds of WWII.